Lovely spacious apartment in a great area. Close to shops and restaurants and not far from the centre. We had no noise from the street. Very pleasant stay. Would stay there again. 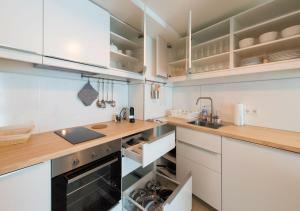 - Location is great - on a quiet street but close to Mariahilfer and lots of attractions. - Apartment building is very new. Apartment was fresh and clean as well. - There is roof access with a great view - The guests were nice enough to let us leave our bags from 12:30 on the day of checkin. Everything was really really great, cant say a bad word honestly, me, my husband and my baby are very satisfied. 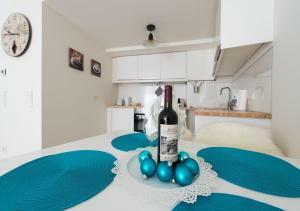 An excellent location, a clean and tastefully arranged apartment, an excellent base for visiting a wonderful city. The apartment is walking distance, 10-12 min, to the historical center, to all the museums and cafes. 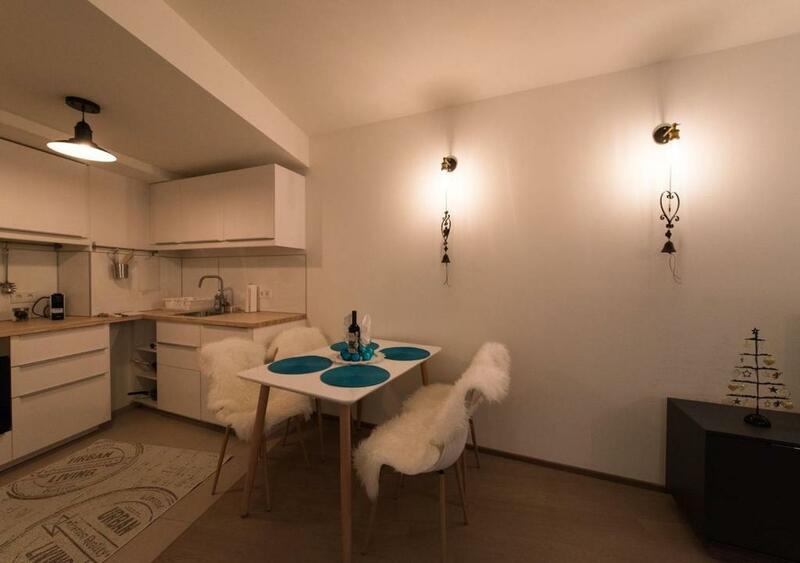 It is 2 min away from Mariahilf street, full of shopping stores and groceries. The location is everything! The entry process was smooth, we were emailed the codes a few days ahead and also permited an early checkin. Modern apartment in a good neighborhood. 10-15 minutes walk to the Kunsthistorisches Museum and 20 minutes walk to the Opera. Very spacious, wide bed, fully equipped, clean, big windows, a bath and a shower. Roof terrace with a view. 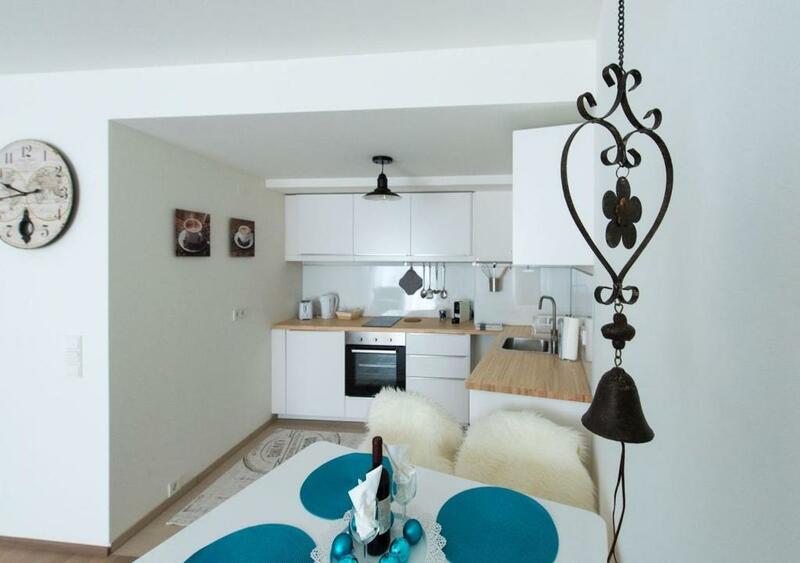 Excellent location close to the pedestrian zone with the parking garage next door. Clean and good amenities, separate bath and WC. Easy entry and key collection from a keybox, we didn't even meet the hosts. The building is new and well maintained. The only thing we were missing was another cup, as there were only 3 available, but that's nothing to complain about. Excellent value for money. Great location, the flat is beautiful, spacious , clean and warm in a very secure modern building. A small bottle of wine offered. Getting in was easy thanks to the instructions sent by the host. 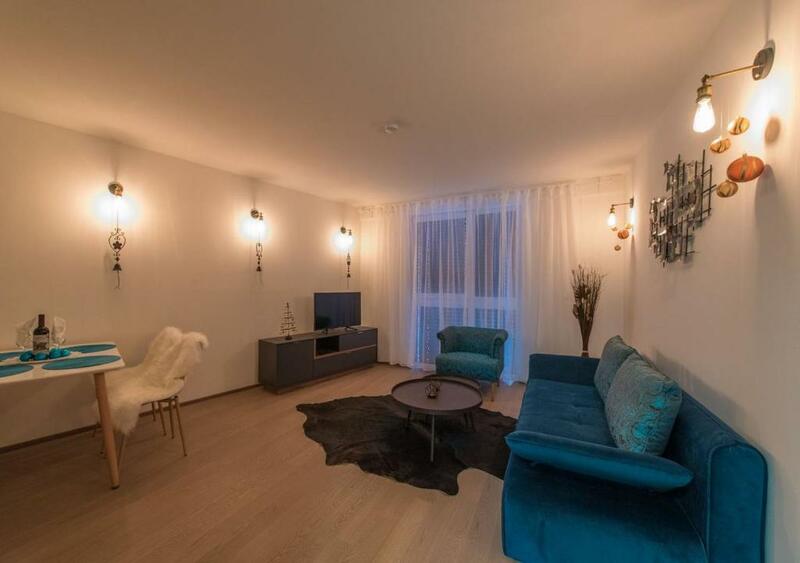 Location is excellent, apartment is very spacious and clean, the host give as in advance all details that we need to find parking, to collect the key. We had a very pleasant stay, for sure we book again when we visit Viena. Lock in a great price for Vienna Calling – rated 9.4 by recent guests! One of our top picks in Vienna.Located in Vienna, Vienna Calling offers accommodations with a seating area and a kitchen. Complimentary WiFi is featured throughout the property. All units are equipped with air conditioning, a flat-screen TV, washing machine and coffee machine. A dishwasher and kettle are also available. A communal roof-top terrace is available. Kunsthistorisches Museum is 2,300 feet from Vienna Calling, while Naturhistorisches Museum is 2,300 feet from the property. Vienna International Airport is 11 mi away. When would you like to stay at Vienna Calling? This apartment has a oven, satellite TV and soundproofing. This apartment has a soundproofing, kitchenware and kitchen. This apartment features a tumble dryer, oven and satellite TV. House Rules Vienna Calling takes special requests – add in the next step! Please inform Vienna Calling of your expected arrival time in advance. You can use the Special Requests box when booking, or contact the property directly using the contact details in your confirmation. The apartment was exactly like the pictures, but they had a little problem with the fridge, it didn't close very well. Also, we weren't provided with tthe exact number of the building, it's 22. Otherwise, everything is perfect. The bed :(. The mattress was too soft for us. Spacious, clean and in a very good location. Beds in livingroom were very uncomfortable. Smoke detector went off repeatedly for no reason. Good location. Easy access to property. No English TV stations and the German Sky Sports channel was only a summary channel that cycled round and round, repeating excerpts. We know there is Sky Sports as we watched it in Munich, which is not that far away. We also had trouble figuring out the combo microwave/convection oven as the instructions were limited and did not explain the icons. Perhaps the owner could add some explanation of the icons to the useful instruction guide that was there for us. Also, we could not use the clothes washing machine as there was only one in the basement, being used by the whole apartment complex. Finally, we would have appreciated a coffee press instead of the Nespresso machine that produces all that unnecessary garbage to produce a bad cup of coffee. Otherwise, all things worked well and we enjoyed our week there. Great location, modern and clean. We liked the cooking facilities once we figured them out. Nice quiet apartment complex with teo grocery stores, a Saturday market and loads of shopping nearby. Easy access and easy walking to the major museums. The bed in the living room is just enough for 1 person or 2 very young children. If this was replaced by a proper convertible bed for 2 this apartment will be 5 stars or 10/10 ! This flat is great ! Location, cleanliness, facilities, close to shops/restaurant/museums/city center. In a few minutes you are in the heart of Vienna. I have nothing more to say this place is great and I will share the location if anyone ask me for good plan in Wien. - Bad is awful: every movement is accompanied creak, mattress is rather uncomfortable. Hope it would be updated. - Regular bus movement on the street which is little bit noisy with opened windows. With closed windows and air condition it isn't a problem.